9175 ft (2797 m) Highest volcano in New Zealand . 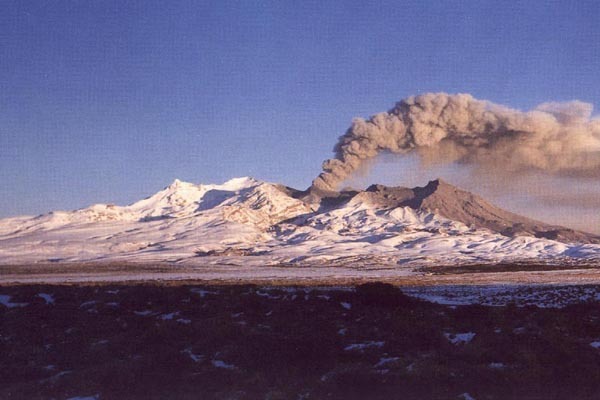 Ruapehu is New Zealand's highest volcano, a large massif with three summits over 9000 ft (2700 m) along a 2 mile (3 km) long summit plateau with several craters located in between. The most prominent crater is the 1/3 mile (0.5 km) wide Crater Lake, which has been the source of most recent eruptions including the explosive 1995-96 episode. In between eruptions, the crater becomes filled by a warm lake usually over 70 °F (20 °C). 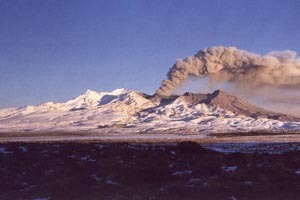 Ruahepu has six glaciers located on all aspects of the upper slopes, the only glaciers on the North Island, and it is home to three ski areas. 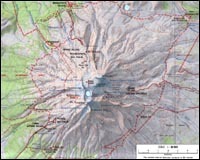 Whakapapa, the largest ski area, is on the northwest side, Turoa with the most vertical is on the southwest, and Tukino, a small club ski field, is on the east side. 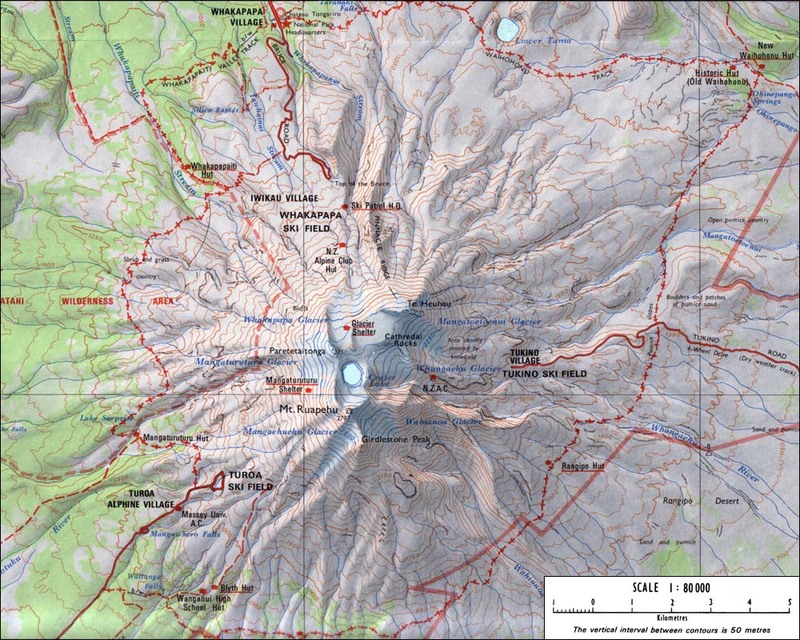 The lifts typically run from mid-June to mid-October, although in exceptional snowfall years such as 2002 Whakapapa may reopen for summer skiing during the Christmas to New Year holiday season. Ski mountaineering and backcountry skiing are extremely popular, especially since the summit plateau and Crater Lake are less than an hour climb or ski ascent from the top of the lifts.